Herring are unloaded from a fishing boat in Rockland, July 8, 2015. 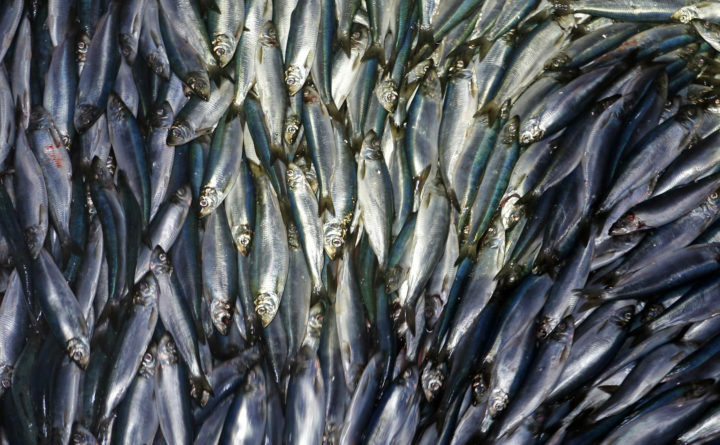 Interstate fishing regulators are holding hearings on the East Coast about a plan to protect herring off New England when the fish are spawning. Herring are among the most important fish in the Atlantic Ocean because of their role in the food chain and commercial value. The Atlantic States Marine Fisheries Commission’s considering measures designed to protect spawning herring in the inshore Gulf of Maine. The commission said the proposal is a response to last year’s assessment of the herring stock, which showed trouble in the fish’s population. Regulators use fishing closures to protect spawning herring, and the proposal considers lengthening the closures and changing the point at which they start. Hearings are scheduled for March 6 in Augusta; April 1 in Gloucester, Massachusetts; and April 2 in Portsmouth, New Hampshire.